you know, that good stuff that is oh so bad for you. White in color, hard as a rock and not spreadable straight from the fridge. Give me a slice of bread and some butter and I am one happy woman. I don't like the texture, the spreadability straight from the fridge. Don't even get me started on the color. 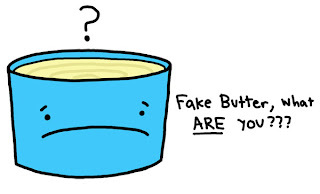 Nothing with the words "buttery flavor" or "I can't believe it's not butter" ever tastes like butter. 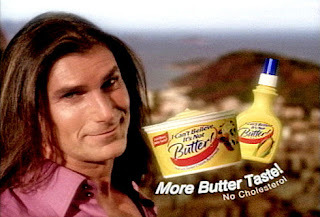 No product that uses Fabio as its spokesman can be good. No product can be good if advertisers resort to making an inanimate object talk. 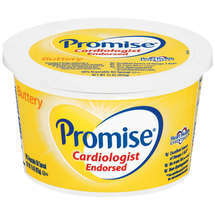 Nothing so processed should hold so many health claims. 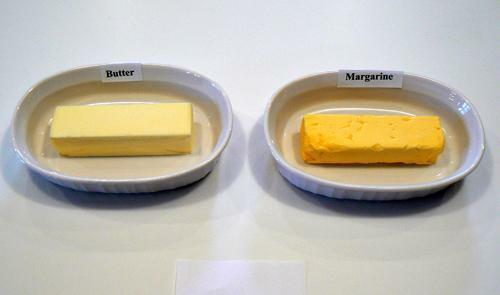 I'm convinced margarine will survive a nuclear war. My four year old sums it up best, "That's not butter. 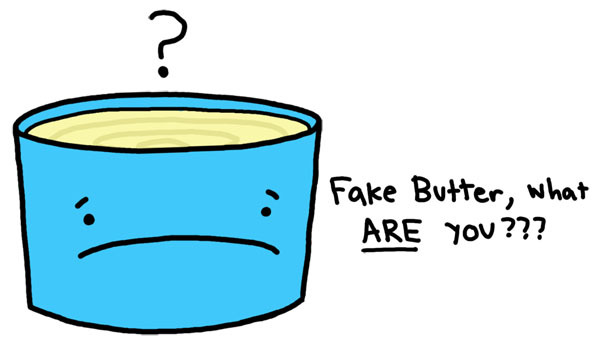 That's FAKE butter!" I will never cross over to the 'margarine side'. Why can't you have butter???? I'm with you, man has yet to improve on what God has created in the area of food. Can you have any milk-based product? I remember in my no-fat vegan cookbook that required too much effort for the taste, there was one suggestion that was pretty good: take yogurt, a fine mesh colander, a coffee filter (or paper towel). Line the colander with the coffee filter and put as much yogurt as the paper filter will hold. Let it set over a bowl so that the liquid drips out of the colander until it is solid. Use like butter on a spread. 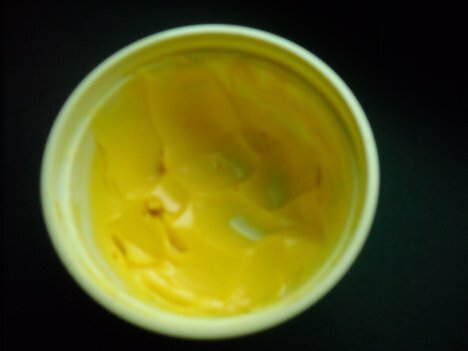 It isn't EXACTLY like butter, but at least it comes from a cow! 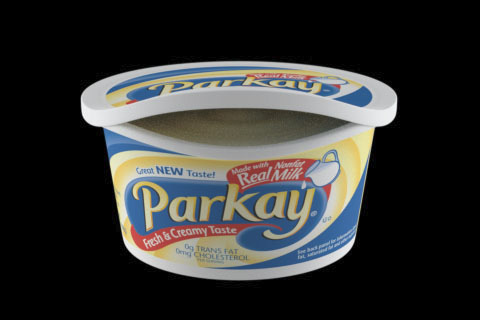 I've also done this when I am out of sour cream, to turn the yogurt a little thicker. You are so passionate about your butter. 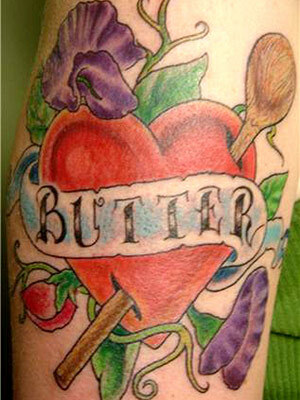 Having a tatto on your arm only proves that. I to love butter, but when you have four young kids we need the spreadable.